Home » Free Continuing Education Classes! All the CE core credits you need, at no cost. One of the many benefits of working with RESE is our free classes. We offer the following classes to our partners, at no cost, to help you stay on top of your game and license requirements. Foreclosure or Shortsale: Which is Better? 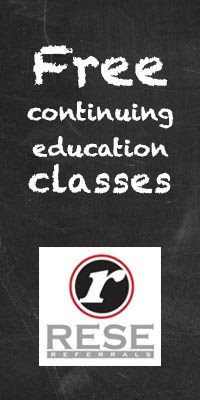 Join RESE to get access to the free CE classes. It just takes a minute and will open up many other amazing free benefits! This is perfect, Thank You RESE!